6-year-old throws hands with a 7-year-old in full MMA rules cage match. 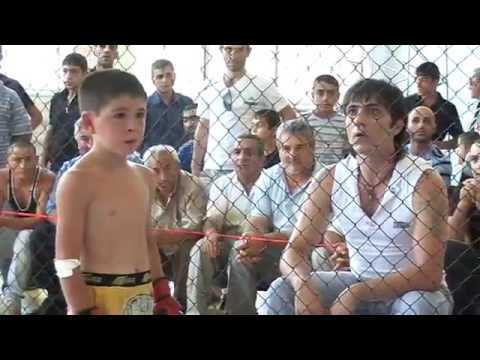 6-year-old Minas Avagyan fights 7-year-old Hayk Tashchyan in an MMA rules Armenian cage fight. Kids should be wrestling. MMA is for adults is what people are saying, but you can judge for yourselves. Check it out. Previous “Jacksons MMA is a Steroid haven” – A USADA exposé starring Holly Holm.